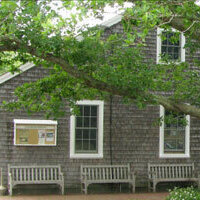 Come celebrate spring, earth day and Island shellfish with the Martha's Vineyard Shellfish Group. Enjoy local oysters and clams, chowder, dance to Johnny Hoy and the Bluefish and get a chance to bid on one of a kind items at our silent auction. Get $5 off your ticket with a selfie of your earth day beach clean up. In partnership with VCS, this is a zero waste event.